Testo wants you to be aware that the new EPA boiler rules might affect your operations. It’s a relatively small chance your boiler (of the 1.5 million boilers EPA identified) will be impacted, but, if you have one of about 186,000 boilers that do fall under new regulations, you should be prepared. 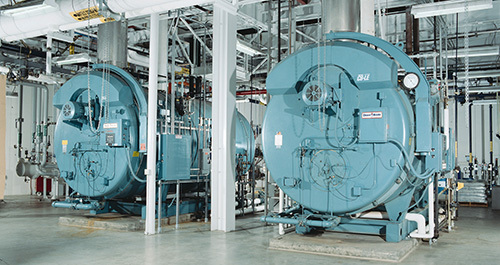 How do you know if EPA's the new boiler rules will affect your operations? The first thing you should know is the initial notification to EPA has been extended to January 2014. So this deadline should help your planning...right? Still not sure? Testo can help, and our state-of-art combustion analyzers will assure your compliance with EPA regulations. JJJJJJ) and for major source boilers (40 CFR 63, subpart DDDDD). As we said earlier, 186,000 boilers have been identified and it's likely more boilers, not currently inventoried, may eventually fall under the rules. Having good combustion control and monitoring practices not only helps your bottom line, but goes far to satisfy the regulations. Many companies are now preparing for the March 2014 ASBR rule deadline. This NEW rule was finalized in the Federal Register on February 1, 2013 and Testo's analyzers can help comply with these new standards. The measurements of O2, CO, and in some cases NOx, are part of the tune-up requirements but the owner must first identify which boiler is applicable to the rule. 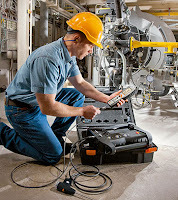 There are lots of things to consider here, but you can depend upon Testo to deliver simple and effective combustion tuning solutions with either: the testo 330 or testo 340 combustion analyzers or the testo 350 emission analyzer for reference level monitoring. 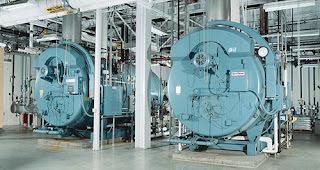 For more information on the area source boiler rules, check out our EPA links section at: http://www.testo350.com/emission-testing-links.html. Most boilers covered by the Area Source Boiler Rule are located at commercial and institutional facilities, with a smaller amount in the industrial sector. This rule covers boilers located at area source facilities that burn coal, oil, biomass, or other solid and liquid non-waste materials. This rule does NOT apply to boilers that burn only gaseous fuels or any solid waste. For all the testing and tuning that is required, how will owners know what to do? What will technicians know what to DO? For more information, go to our official Emission Testing Links page on testo350.com. Click on the PDF for EPA’s “Boiler Tuning Guide – 40 CFR Part 63 Subpart JJJJJJ” to see the requirements. The finalized EPA Area Source Boiler Rule is complicated. You will need to determine applicability based upon size, location, potential to emit and various other conditions. After determining applicability and the test parameters needed, contact Testo. Let us show you how to configure the most cost effective monitoring solution. Contact us toll-free at 800-227-0729 or email us at info@testo.com.